Facebook, the biggest online social media group in the world, is under unprecedented attack following the publication on 14 November of a 5,000-word investigation by the New York Times alleging a host of questionable practices by the digital conglomerate, that includes WhatsApp and Instagram. The company’s share prices have come down and particular investors have called for the resignation of Mark Zuckerberg, the 34-year-old founder and chief executive officer of Facebook and his 49-year-old deputy, chief operating officer Sheryl Sandberg. While the two have sought to refute certain specific allegations levelled against them, their leadership abilities and integrity are being questioned like never before. This is arguably the biggest crisis faced by Facebook which has 2.27 billion users across the world, including over 220 million in India – the largest in any country. Even as allegations against the digital monopoly for allowing its platforms to be misused have intensified globally and calls have been made to break it up, we present an investigation into Facebook’s activities in India. This series of five long reports is based on interviews (quite a few of them off-the-record) with nearly 50 individuals that were conducted over a period of five months starting June 2018 as well as information that is available in the public domain. While the international digital giant claims it provides an agnostic platform for all to use, there is evidence – some of it circumstantial – to indicate that senior employees of Facebook in India have in the past worked, and continue to work, very closely with the country’s ruling Bharatiya Janata Party and Narendra Modi since 2011. Their uncomfortably-close proximity to the powers-that-be in the country raises a big question: Will Facebook act in a neutral manner in the run-up to the general elections scheduled for April-May 2019? This is the first in a series of five reports –– that critically examines whether Facebook and its companion platform WhatsApp have been complicit in promoting the interests of India’s ruling regime and its right-wing, Hindu nationalist agenda. In the first article, we examine allegations relating to the complicity of Facebook and WhatsApp in spreading disinformation and hate speech that have led to mob lynching in different parts of the country. We also point out how critics of the Modi regime have felt marginalised by the social media platform and its associates. 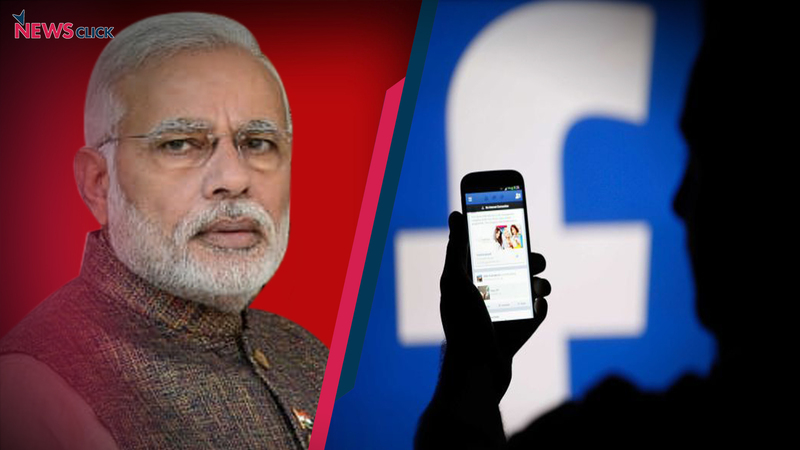 In the second article, we report how Facebook arrived at the dominant position it currently is in India with more than a little help from friends and supporters of Prime Minister Modi. In the third report in the series, we outline the role played by key individuals with close links with the BJP and Modi and how the social media was used in propagating his party’s agenda. In the fourth article, we look at the Congress party’s relations with Facebook, the questionable activities of Cambridge Analytica in India and, among other things, an allegation of possible conflict of interest pertaining to a senior employee of Facebook in India. In the fifth and final article, we outline the crisis confronting one of the world’s biggest internet conglomerates set up just over a decade ago. We also reproduce a detailed questionnaire that we sent Facebook and the social media platform’s predictable and somewhat fuzzy responses to 64 pointed questions we raised. To place his remarks in context, Shah first said that before assembly elections were held in Uttar Pradesh in February-March 2017, BJP supporters had put together two huge groups of its supporters on WhatsApp together comprising a stupendous 3.2 million users. Every day at 8 am, messages would be sent to group members for them to “know the truth” about “false” information that had been published about the BJP in various publications and websites. One “smart” volunteer had put out a fabricated post claiming that Akhilesh Yadav, the then Chief Minister of Uttar Pradesh (belonging to the Samajwadi Party which is opposed to the BJP) had slapped his father Mulayam Singh Yadav. The message went viral and reached Shah. Amit Shah and the BJP’s supporters, sympathisers and volunteers have evidently been far more successful than most others across the globe in using this social media platform, if Daniels’ figures are to be believed. There is no doubt that the BJP has been running the world’s biggest – and arguably most influential – online political campaign. At a time when Facebook, the largest social media platform and digital monopoly of its kind on the planet (which also owns WhatsApp and Instagram) has come under growing global scrutiny and strident criticism over its claims of neutrality and the misuse of its data by Cambridge Analytica and others, its operations in India are being increasingly questioned, and rightly so. While there have been allegations that supporters of Narendra Modi have frequently spread disinformation on online platforms, sometimes with the help of content marketing companies, legitimate news media organisations and journalists critical of the ruling regime are complaining that they have been deliberately marginalised and, at times, even “censored” by Facebook. Here are a few instances. On 10 August, Caravan was not allowed to boost an article on Facebook which was critical of the BJP president. The magazine had claimed that Shah had “misrepresented” his assets and liabilities in his affidavit filed before the Election Commission of India. The publication wanted to boost this particular article on its website on Facebook. However, approval came eleven days later by which time the story had lost quite a bit of potential for traction as the news cycle had surged ahead. Within days of the Caravan article not being boosted by Facebook, there were complaints from other journalists that they were being “locked out” of their Facebook accounts for inexplicable reasons. The common factor among all these journalists was that they were writing against the ruling party and the Modi government. They included Rifat Jawaid of Janata Ka Reporter, Prema Negi and Ajay Prakash of Janjwar and several journalists with Caravan Daily (as distinct from Caravan) and Bolta Hindustan. Portals like Caravan Daily and Janjwar that get most of their readers on Facebook were also impacted. On October 1, five reports published in Caravan Daily, including one on activist Gautam Navlakha being released on orders of the Delhi High Court was marked as “spam” by Facebook. “When we woke up on October 4, we found both our personal accounts blocked,” Negi and Prakash said, adding that they were asked for proof of their identification more than once to access their disabled accounts. Five employees of Bolta Hindustan too found their Facebook accounts blocked. Vincent asked Facebook India’s communications head Amrit Ahuja to respond. Forty-eight hours were sought but no response came, the Telegraph journalist wrote in his article published on 8 October. Between 2012 and 2018, supporters of the BJP have spread innumerable pieces of highly-problematic content on Facebook-owned platforms to promote Modi as a “saviour” or “messiah” of India’s Hindus and to suppress any criticism of him. Such content has created communal tension between Hindus and Muslims and led to incidents of mob lynching in different parts of India. Over the twelve-month period till October 2018, at least 30 individuals have been lynched by mobs – quite a few of these incidents took place after messages were spread on WhatsApp accusing them of killing cows, stealing cattle, kidnapping children or for having a relationship with a person subscribing to a different religious faith. An analysis of government data by the IndiaSpend website suggested a 28 per cent rise in incidents of communal violence in the country between 2014 and 2017. More than half these incidents took place in states where the BJP is in power, Uttar Pradesh, Bihar and Jharkhand. Much of this problem is related to the way the laws of the land are administered, or not. But can this be completely delinked from the facilities that social media platforms like Facebook and WhatsApp provide in the ease of disseminating of information, including disinformation or fake news? These are some of the questions we seek to address in this series of articles. In recent months, Facebook’s chief executive officer Mark Zuckerberg has been asked by representatives of five government committees, from Argentina, Australia, Canada, Ireland and the United Kingdom, to personally appear and depose before an “international grand committee” on disinformation and fake news. In a number of countries of Europe, the US, the UK and Singapore, Facebook’s representatives have been subject to intense scrutiny and sharp criticism by lawmakers. They have been directed to become more responsible, accountable and act stringently against those misusing or abusing their platforms. Union Minister for Electronics and Information Technology Ravi Shankar Prasad (who also holds the Law portfolio in the Council of Ministers) first demanded that Facebook check the spread of fake news in September 2016. Since then he has repeated this demand many times over. That month, for the first time, the Indian government demanded “traceability” of senders of messages from WhatsApp. Two notices were sent by the IT Ministry to the organisation in quick succession. Between May and July 2016, there had been at least three gruesome killings after fake messages were circulated on WhatsApp. A 26-year-old labourer from Rajasthan who was working in Bengaluru, the country’s “IT capital,” was lynched apparently after a fake video had been doing the rounds claiming that persons from outside Karnataka were “stealing” children. In Maharashtra’s Dhule district, five persons were lynched after fake videos were shared on WhatsApp groups claiming that a gang was “harvesting organs” of dead children – one video from 2013 depicted children who had died after a nerve-gas attack in Syria. Then, a 32-year-old Muslim software engineer was brutally lynched by a mob in Bidar, Karnataka, after fake videos about children being kidnapped had been distributed. In June 2017, 55-year-old meat trader Alimuddin Ansari was lynched by a mob of vigilantes for allegedly transporting beef illegally in Ramgarh, Jharkhand. His helpless wife and son learnt about his killing almost in real time on WhatsApp. A year later, Harvard-educated Union Civil Aviation Minister Jayant Sinha garlanded some of those who had been accused of being part of the lynch mob and who were out of prison on bail at his home in Hazaribagh – he is member of the Lok Sabha from the same constituency – for which he later expressed regret. A spokesperson of WhatsApp promptly responded and said the platform “cares deeply about people’s safety,” that it was working with Indian researchers to address the problem of proliferation of fake news and would run public safety campaigns. Soon thereafter, WhatsApp placed a forwarded tag to indicate that a message had been forwarded and restricted the number of individual users or groups to which a message could be forwarded at one go to five. On issues of encryption and traceability, Daniels was categorical that WhatsApp should remain the way it was built as “a place for private conversations” ­– and that it could not provide information about the originator of content unless its systems were redesigned and its privacy standards revised to enable it to “indiscriminately track user data.” Daniels added that while “relying on law enforcement is not enough,” there was need for “broad education to explain how to stay safe” which, in turn, was the job of every stakeholder, technology companies, civil society and the government. Chaudhary says messages not only impact the conscious mind but the unconscious as well, especially in view of the highly-addictive nature of social media platforms like Facebook and Twitter. “You keep spamming a falsehood and after a while, people start believing the untruth – it’s a classic ‘Goebellsian’ technique,” she said in a reference to Paul Joseph Goebells, a close associate of Adolf Hitler and propaganda minister in Nazi Germany between 1933 and 1945. It has been well documented by fact-checking websites like AltNews and Boomlive that supporters of Modi and the BJP have been serial offenders as far as propagating disinformation is concerned. One such right-wing website is Postcard News that has been co-founded by Mahesh Hegde. He was arrested by the Bengaluru police on 30 March for alleging that a Jain monk had been assaulted by a Muslim man whereas the monk had suffered minor injuries in an accident. Union Minister Anantkumar Hegde (no relation to Mahesh Hegde) called for his release and described his arrest as “politically motivated.” The website of Postcard News has in the past been accused of spreading disinformation about, among others, journalist Barkha Dutt and West Bengal Chief Minister Mamata Banerjee. It is replete with pro-BJP propaganda. Whereas Mahesh Hedge’s arrest was a rare instance of police action against a peddler of problematic information, what has caused considerable consternation is how large numbers of users of social media platforms like Facebook and WhatsApp who have been accused of spreading disinformation continue to be “followed” by Prime Minister and other ministers in the Union government. The same website also circulated reports from a disinformation website called “BBCNewsHub” that stated that the Congress was the world’s fourth most corrupt party and that Sonia Gandhi was the world’s fourth richest woman. This Facebook page also posted manipulated pictures of Modi with world leaders, false quotes of Indian Army chief Bipin Rawat and Congress MP Shashi Tharoor calling Modi a scorpion and incorrect information about World Bank loans to India. On the Facebook page of Jay Modiraj, there is a picture from Thailand that was sought to be passed off as a military drill being conducted in India. It also circulated a manipulated image of Modi standing next to former Prime Minister Atal Behari Vajpayee’s body. The fact-checking website Alt News investigated the individuals associated with the page – Sachin Patel, Rajesh Soni, Bhavin Patel, Manoj Gilani and Neha Patel – and found that most of them had “display pictures” or DPs of themselves with Prime Minister Modi and some had attended a meeting organised for the Prime Minister to interact with his party’s social media volunteers. One among the persons named (Bhavin Patel) described himself on Facebook as a member of the IT Cell of the BJP and the RSS. The fact is that some trolls who claim to be supporters of the ruling party have become akin to Dr Frankenstein’s Monster and have ended up embarrassing the Modi government. In July, External Affairs Minister Sushma Swaraj was viciously trolled and abused on social media platforms in connection with the issuance of passports to an inter-faith couple in Lucknow. The filthy language used against her elicited an anguished response from her husband Swaraj Kaushal. WhatsApp was reportedly “misused” for a different kind of “lynching” of a financial nature. The share prices of a publicly-listed company, Infibeam, collapsed by as much as 71 per cent on a single day (28 September 2018) following a WhatsApp message that had raised concerns about the e-commerce company’s allegedly dodgy accounting practices. The incident made headlines in the financial media. Over the last five months, from June 2018 onwards, we spoke to nearly fifty persons, including current and former employees of Facebook India, before writing this series of articles. Many of them did not want to be quoted fearing repercussions. It became evident to us that key individuals involved with the organisation share an uncomfortably close relationship with the BJP and at least one of them was associated with Modi’s pre-election campaign in 2013 and 2014 and was associated with a website that spread pro-BJP news on Facebook. We also looked into what appeared to be an instance of “conflict of interest” involving a senior functionary of Facebook India. There’s much more to come in the following articles.